Seneca Promotional Products is owned and operated by Bob Harrison, an independent, authorized dealer of Kaeser & Blair, the recognized leader in the field of specialty advertising products. Bob's 25-year professional career has been in sales, marketing and advertising, focusing on bringing his clients results. In addition, his graphic design skills ensure that your custom imprinted sales aids, trade show giveaways, and customer & employee rewards have the maximum impact and return on investment. 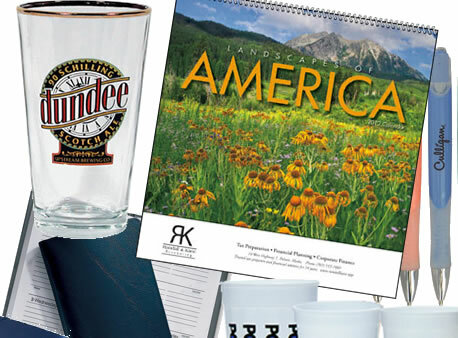 Whether you're looking for a calendar, drinkware, writing instrument, magnet, or executive gift, Bob can help you find just the right product. Check out the Kaeser & Blair Best Buys catalog for some product ideas or click on the Product Picker link to get a customized recommendation within 24 hours. If you find something you like, how do you order it? This site isn't like mega-sites with impersonal shopping carts. A quick phone call or e-mail will get the ball rolling and ensure you're ordering just the right custom imprinted item for your needs. The personal touch is what sets Seneca Promotional Products apart. Call Bob today!